Carolyn Ferraro is what some may call a workaholic. 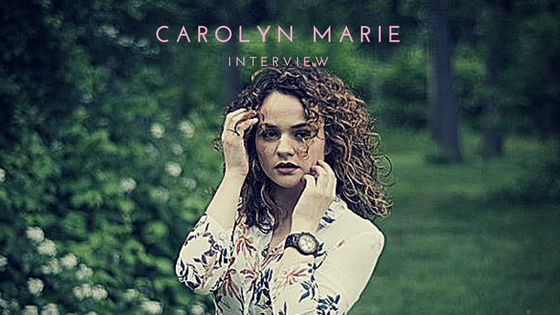 She performs under the moniker Carolyn Marie, finding that to be overall more appealing than by using Ferraro. Her music ranges from pop to rock to funk with traces of electronic, fast-paced enough to keep her dance skills intertwined. Her debut EP, Backstage Pass, was released in 2015 and was a major learning experience for Ferraro. In the beginning, she worked with various producers who had more than enough credits to their name but not enough investment into the project that she had. She knew that when there was a next time, she was going to treat things differently. She’s already released singles “Man Eater” and “Wanna Be Cool” which both have a different sound from her EP. “Man Eater” is a story about a former friend, living the single life by getting dressed to the nines and watching guys flock to her at the bars. “Wanna Be Cool” is less storytelling and more tragic in the sense that the theme involves the want to fit in with the cool crowd and the decisions made because of that want. When she’s not gearing up for her album release, Ferraro is also on the teaching staff at Dream Makers Dance Studio. By working there and making lasting connections with her students, she’s been able to bring her passion for dance back into her music and has been able to share that with her students. Some people may say that Carolyn Ferraro is a workaholic, and it appears they would be correct. By balancing her passions for music and dance, she has created a full-length record that, when released, will be both of those passions combined into one.